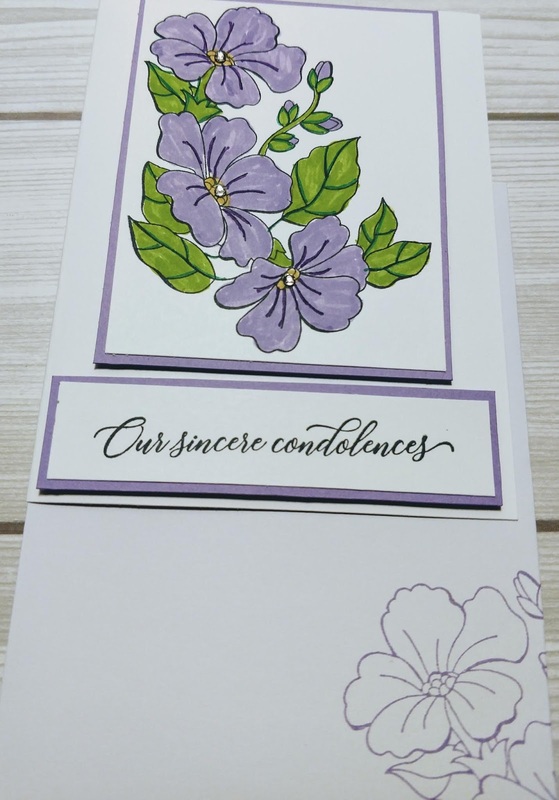 I know that sympathy cards are needed; however, they're not my favorite to make. I wanted to create something that was appropriate but also pretty. 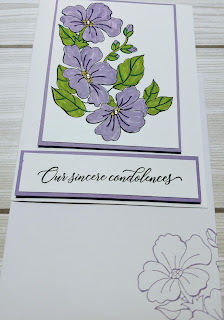 I decided to use the "Blended Seasons" stamp set. The Blended Seasons Stamp Set, is an exclusive 10-piece wood- or clear-mount stamp set with images for every season and it's part of a bundle! These products available while supplies last until August 31, 2018. This means products will only be available until August 31 or while supplies last, whichever comes first. If a product’s supply is depleted before August 31, it will be made unorderable and will no longer be available for purchase. 4. 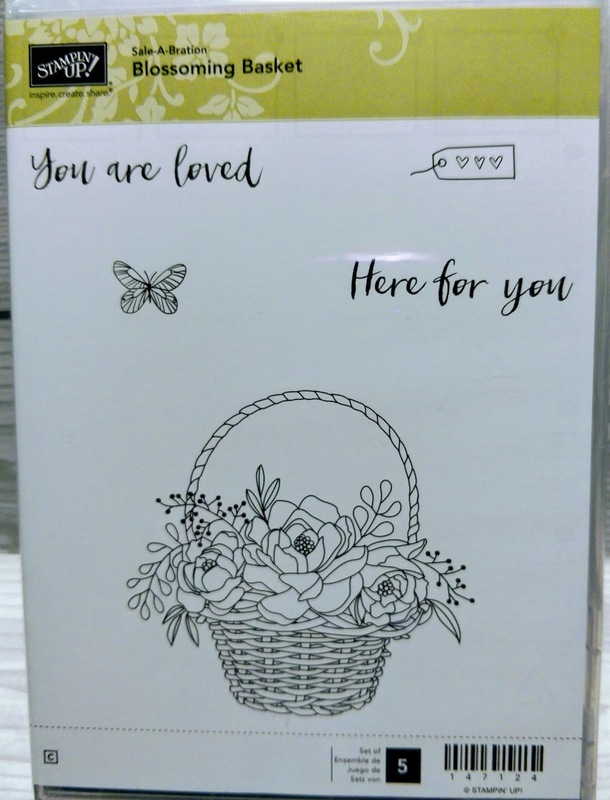 Stamp floral image on whisper white piece using black ink and color. 5. 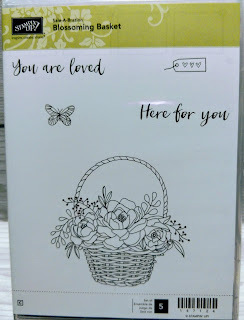 Stamp sentiment on whisper white strip. 6. Attach whisper white pieces to highland heather pieces using snail adhesive. 7. Add layers to card base with dimensionals. 8. Add rhinestones to flowers for that extra bling! Viola your note card is complete. August is my birthday month and I've decided to have a weekly giveaway. Here's what you have to do: Spend a minimum of $35.00 in my online store and using the HOSTCODE: 7T6G9JGB and you will entered into a drawing for a free stamp set. The drawing for this stamp will be held 8/15/2018 and the winner will be notified 8/16/2018.